A riddle: It is made of iron and does not rust. What is it? 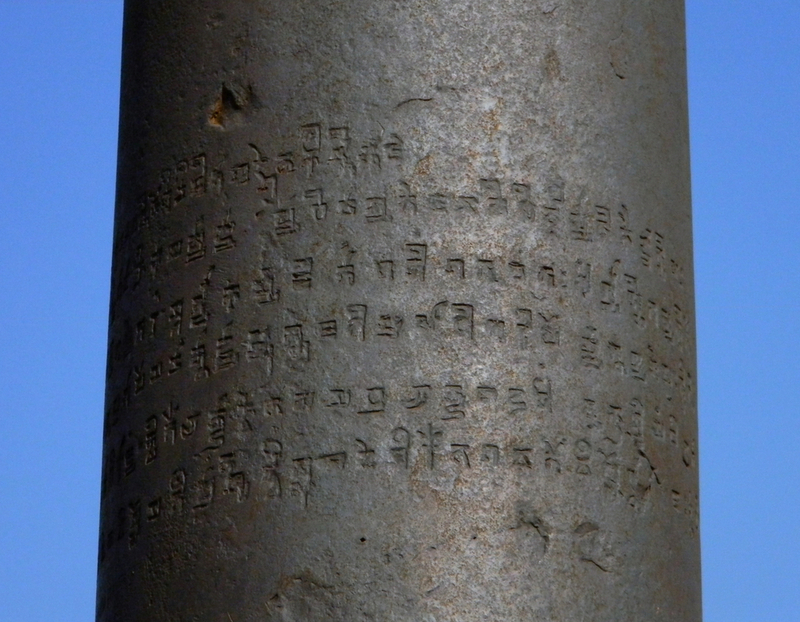 The iron pillar is one of the world’s earliest metallurgic creations. 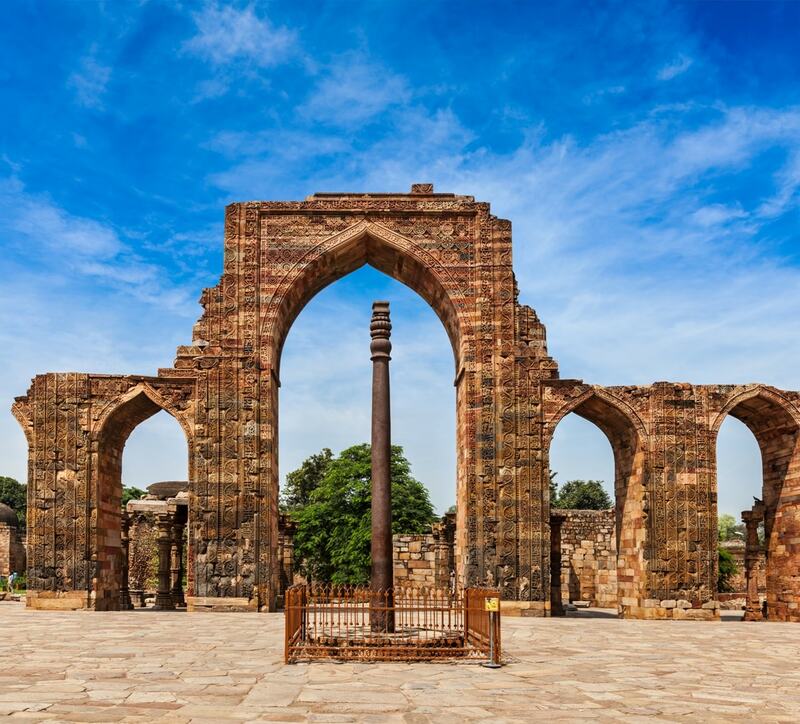 It has probably been constructed in the 4th century and is one of most curious buildings in Delhi, standing in the middle of the Quwwatul Mosque. The pillar is approximately 7 meters tall while one further meter reaches underground. Its diameter is 48 centimetres on the pedestal and attenuates to 29 centimetres at the top. It weighs almost 6.5 tons and is made of 95% tilted iron by forged welding. It has been confirmed that the required temperature for making such pillars cannot be reached by coal burning. The pillar is the confirmation of the high-level of iron extraction and elaboration performed by ancient Indian iron forgers. It also has a long epigraph on it which consists of Brahmi punctuation marks. if somebody is able to hug the pillar backwards, he/she can make a wish. To avoid people notoriously doing so, a small fence was built around it in 1997. It continuously raises archaeologists’ and metallurgists’ interest, because in spite of the rough weather, it has resisted corrosion through the last 1600 years. The unusual rust-resistance is probably due to the pillar’s high phosphor content, which helps the formation of an iron oxide and phosphor protective layer, which, with the assistance of the beneficial local climate, prevents rust from forming on the surface.